The USS North Dakota. Photo: U.S. Navy. A Navy submarine successfully deployed and retrieved an unmanned underwater vehicle during exercises in the Mediterranean, the U.S. Navy has announced. The USS North Dakota deployed and retrieved the REMUS 600 vehicle from its dry deck shelter during a six-week mission that came before the new submarine completed its post shakedown availability, a period of testing and evaluation. Only three other submarines, all in the Virginia class, have deployed and retrieved underwater vehicles. 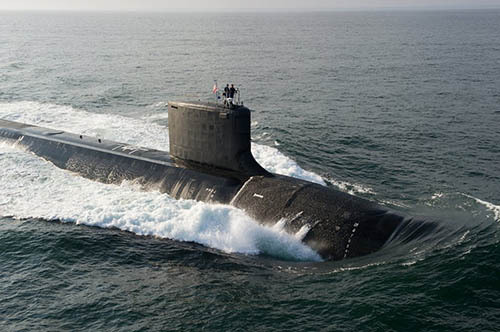 The USS North Dakota was christened in late 2013 and is the first Block III sub of the Virginia class. It is designed to operate both in littoral and deep-ocean environments.